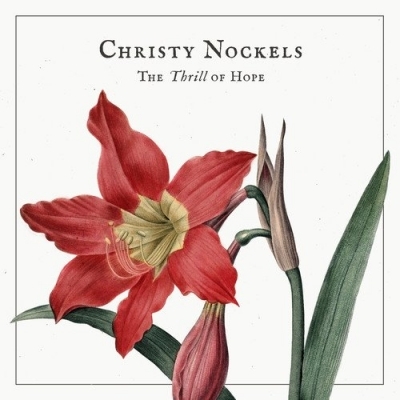 Inspired to share her first Christmas album with the world, Christy Nockels will unveil The Thrill Of Hope on November 4. The Thrill Of Hope introduces Nockels' take on holiday classics mixed with original songs, including “Song In The Air,” “Wrap This One Up,” Amaryllis” and “Our Christmas Song,” penned originally. The album is steeped in scriptural references from Isaiah, Genesis, Micah and more, along with family memories as Nockels invited other family members to take part in the project as well. Nockels worked with husband Nathan Nockels (Passion, Matt Redman, Laura Story) to create the LP.